J-CAT DSV Is a newly introduced, economical dispensing robot. This unit has a push button to allow the robot to move to an area for dispense material purging. 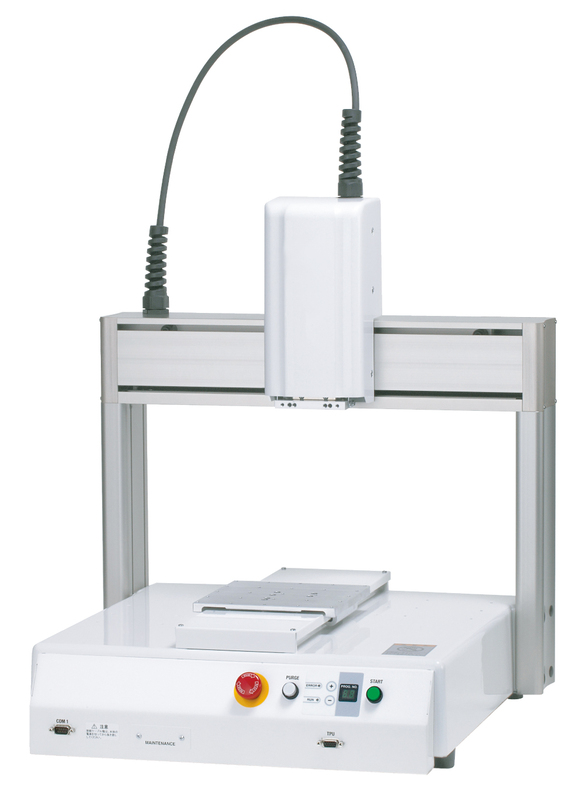 The standard machine can handle most dispensing applications.